Since having Cubby almost 6 years ago, I have learned a lot about the products that we use every day and what is actually in them. Although I used more natural products on Cubby when she was born, I have found even better ones that I really like and with cleaner ingredients. Although they may not be perfect according to the EWG (Environmental Working Group) http://www.ewg.org, I have been really pleased with them and am still using them with Squeakers. Something to keep in mind is that our skin is our largest organ of absorption and baby’s skin is more susceptible to chemicals and fragrances. “Newborn skin is delicate — and so is the baby’s immune system. Chemicals, fragrances, and dyes in clothing, detergents, and baby products can cause newborn skin irritation, dryness, chafing, and rashes” (www.webmd.com/parenting/baby/baby-skin-10/skin-care-tips). Dimpleskins Bum Bum Balm: all natural ingredients; does not contain petroleum or mineral oils; very gentle with a nice smell. Squeakers has never had a diaper rash or any redness and we have used this since she was born. 2. 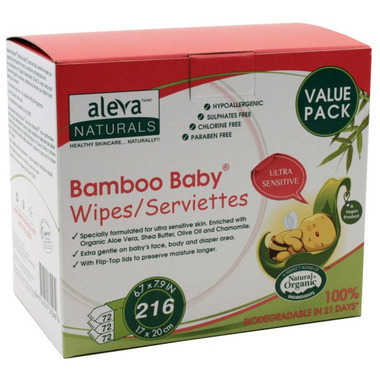 Aleva Naturals Bamboo Baby Wipes: very gentle and light smell; chlorine and eco-friendly; light and easy to use. My only drawback is that they stick together when trying to get them out of the wipes pack. 3. Pure Organic Coconut Oil: I have used this on Squeakers’ skin since she was born. No need for any lotion with it. Her skin has been soft and clear; no rashes or bumps. When travelling, I have used Aleva Naturals Daily Soothing Moisturizer and have been happy with the outcome. 4. Earth Mama Angel Baby Body Wash and Shampoo: I have used this since Squeakers was born and it is very lightly scented and extremely gentle. I like that it is a castile based soap. I still use it to this day. 5. 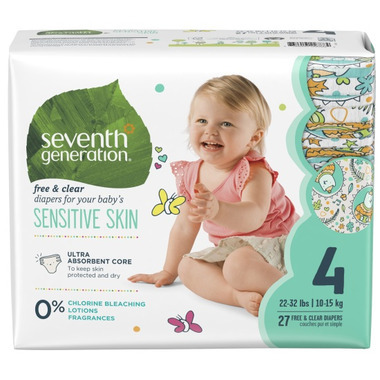 Seventh Generation Free & Clear Diapers: I love love love these diapers. There is no chemical smell when you take one out of the package. They are soft and gentle and extremely absorbent. I love the design and fit of these diapers. Squeakers has never had any kind of skin reaction to them. I saved a bit of money on them by setting up an Amazon.ca autoship diaper service. 6. 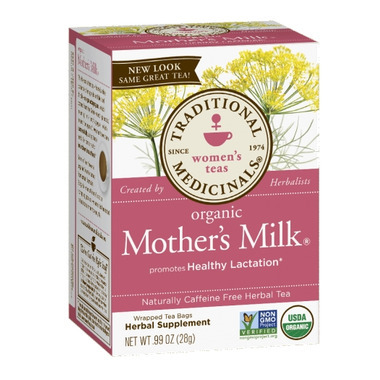 Traditional Medicinals Organic Mother’s Milk Tea: I have tried numerous nursing teas during my time with Cubby and now with Squeakers and this has been my go-to for helping me with milk supply. 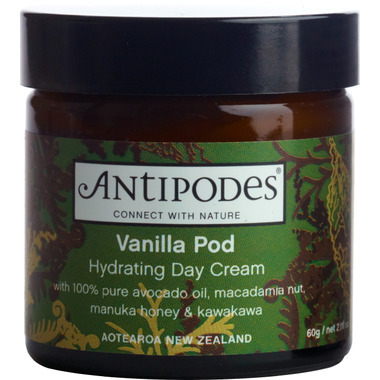 Antipodes Vanilla Pod Hydrating Day Cream: very moisturizing for a natural face cream; reasonably priced and great ingredients. I also use a face serum and exfoliator by the same company. 2. 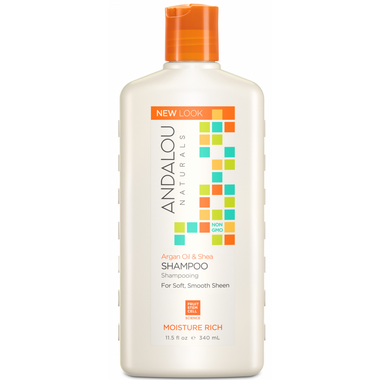 Andalou Naturals Moisture Rich Shampoo and Conditioner Argan & Sweet Orange: I have had a really hard time finding a natural shampoo and conditioner that work on my hair and do not leave it flat or limp. This one has worked well and smells like a creamsicle popsicle! 3. Schmidt’s Natural Deodorant Cream Bergamot & Lime: I have tried many many natural deodorants and deodorant cream and am super pleased with this brand and scent. I do find that I have to reapply during the day in the hot summer months or if I have done more activity than usual. 4. 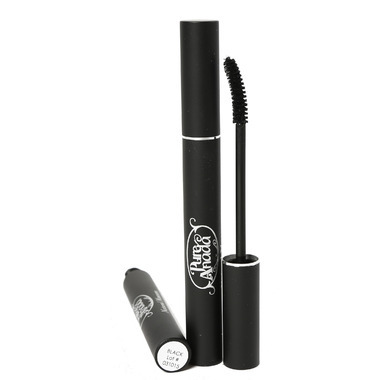 Pure Anada Natural Mascara: I have extremely sensitive eyes that are always tearing. Since having Squeakers I have had a difficult time wearing my usual make up due to new sensitivities with my skin. This mascara is the only one that doesn’t make my eyes burn or tear after a full day of wearing it. 5. 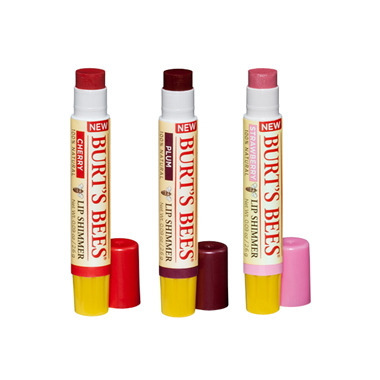 Burt’s Bees Lip Shimmer: I usually don’t wear anything on my lips from day to day except for some organic lip balm or chapstick; however, these Burt’s Bees Lip Shimmers are great for adding a pop of colour without wearing lipstick. 6. 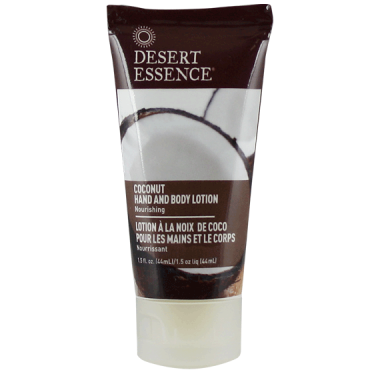 Desert Essence Coconut Hand and Body Lotion: I love the moisture of this lotion and the smell is delicious! Cubby always tells me that I smell like marshmallows! I like that it is made of coconut oil, shea butter and jojoba oil. 7. Now Solutions Jojoba Oil: I have loved using this oil on my hair and scalp to add moisture and soothe my scalp. I usually keep it in for a few hours and then wash my hair as usual. 8. Now Foods Castor Oil: I lost a lot of hair after having Squeakers and unfortunately the hair from my eyebrows and my eyelashes has also been falling out. I have been using castor oil on both areas and have noticed some new hair growth. I also rub castor oil over my abdomen and liver area before I go to sleep at night or do a castor oil pack with a flannel and some heat. I hope that helps you new mamas to get more green and natural with your products and definitely with the products that you use on your baby! This entry was posted in Advice for New Moms, Bathing Baby, Great Baby Products, Uncategorized and tagged Aleva Naturals, Aleva Naturals Bamboo Baby Wipes, Aleva Naturals Daily Soothing Moisturizer, Andalou Naturals Moisture Rich Shampoo, Antipodes Vanilla Pod Hydrating Day Cream, Burt's Bees Lip Shimmer, Castor Oil, Coconut Oil, Desert Essence Coconut Hand and Body Lotion, Dimpleskins Bum Bum Balm, Earth Mama Angel Baby Body Wash and Shampoo, EWG, Jojoba Oil, natural baby, natural beauty products, Pure Anada Natural Mascara, Schmidt's Natural Deodorant Cream, Seventh Generation Free and Clear Diapers, Traditional Medicinals Organic Mother's Milk Tea. Bookmark the permalink.